A week before Apple's just-announced October 27 Mac-centric event, a newly discovered trademark filing has been unearthed online, suggesting a potential name for the OLED panel on the new MacBook Pro. 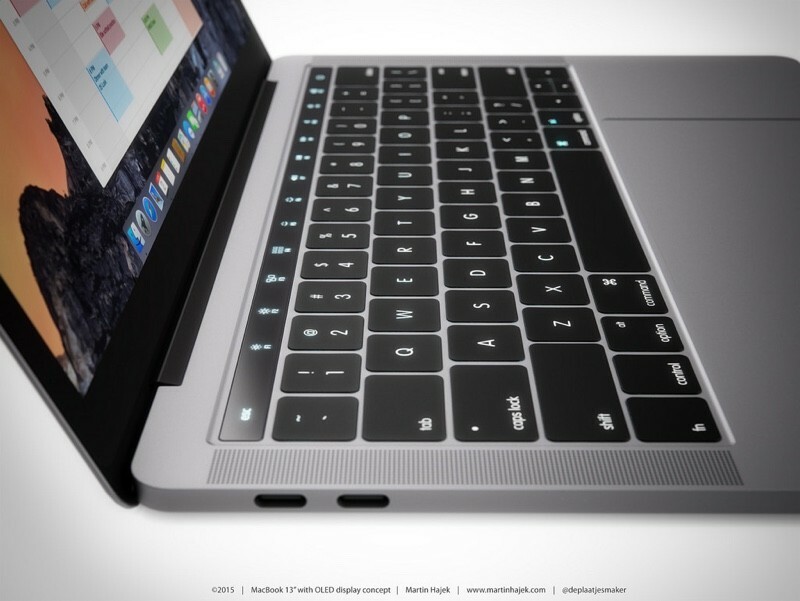 According to information rounded up by Brian Conroy at The Trademark Ninja (via The Next Web), a trademark filed by a company called "Presto Apps America LLC" for a device dubbed the "Magic Toolbar" could be Apple's name for the touch bar panel on its new MacBook Pro line. Conroy lays out a line of evidence pointing to Apple's involvement with this particular name, beginning with Presto Apps' incorporation on January 22, 2016, and followed by its filing for the trademark just a few weeks later on February 5, 2016. The cost of the trademark application was furthermore estimated to be around €16,000. The trademark's cost, along with Apple's stable of "Magic" products -- Magic Keyboard, Magic Mouse, Magic Trackpad -- fuel Conroy's main line of evidence. Given that Apple has a well-established reason to potentially do battle with any company in court who would file a trademark with "Magic" heavily featured in the title, Conroy says anyone would "have to be 100% certified insane" to spend so much money on something that a company like Apple could shut down with relative ease. He calls this "the main reason" he believes Presto Apps is Apple. They would almost certainly be able to stop any other company applying for the trademark ‘Magic Toolbar’, on the basis it’s similar to their existing trademarks and likely to cause confusion. So, another company would have to be 100% certified insane to spend €16,000 in outlay for a trademark application that someone with the clout of Apple was almost certain to be able to object to and defeat. And that’s the main reason that I’m putting my neck on the line and saying that ‘Presto Apps America LLC’ is actually Apple. To top it all off, when investigating Presto Apps' trademark applications in Canada, Indonesia, and Malaysia, it was discovered that the "Magic Toolbar" application was filed by the same lawyers who applied for the "AirPods" trademark. As Conroy concluded, "either Presto Apps America is Apple and the Magic Toolbar is going to be part of the MacBook announced on 27 October or else it’s the strangest set of coincidences and unlikely events I’ve ever seen." Rumors that began earlier in the year suggested that the OLED panel on the MacBook Pro will dynamically change for specific apps that are open on the computer, as well as integrate Touch ID into Apple's MacBook line. Internally, Apple reportedly named the OLED panel the "Dynamic Function Row." Refreshed versions of the MacBook Air, iMac, Mac Pro, and Mac mini are also believed to be part of the October 27 event. "its magical - its like nothing you have seen before, we have revolutionized the way you bring your volume up"
Actually, most technology today works like magic. I bet very few people have the knowledge to explain how cell phones and software works. Wonder if there is developer API access. I'd love to be able to have a custom Avatar or Image of some sort somewhere as well just for vanity sake. "And boy have we patented it!" They might as well get Trump to introduce it: "Apple has the best magic tool bar. The best! It's magical! No one else in the world has it! It's that magical! It's gonna be the most magical toolbar in the world!" ...but Apple, please keep the headphone jack on the computers!